Is it still a safe bet opt for an iPhone app? Many believe that only Steve Jobs knew how to make a good product and deliver to people’s expectations. Others believe that Android phones sell more than the Apple devices and that is probably the way forward. Furthermore they believe that Tim Cook may not be able to lead the Apple to develop the same level of innovative products as Steve Jobs could. So is Apple really doomed? When it comes to market share the average consumer has easy access to the statistics from various different magazines or by doing some research on the internet. In recent times the statistics shows that the Android devices have a larger market share than the Apple. Many studies show that the Samsung devices are set to crush the Apple ones too. Samsung has flooded the market with many different types of mobile devices. This strategy of theirs helped them gain a strong hold on the mobile phone market. Samsung is expected to follow the aggressive strategy with the tablet market too. However these statistics don’t always tell the true picture. Some of these percentages mean nothing in fact. Since many companies have started making tablets and the stores too stock many different types of tablets the figures are based on these numbers and not the actually number of devices sold. Hence these numbers may very well be just the tablets lying at the store shelves. Thus such factors make the Apple’s figures go down, no matter how well Apple may be doing. It is often found that the Android devices sell at a lower price than the Apple devices and they are also treated more as portable video players rather than lightweight computers like iPads. Thus to come to the conclusion that Apple is struggling based on such statistics is not correct. The mid 2000 were very fertile for Apple. They made inroads into many different markets and were at their best since a while. Thus it is natural that the consumers have grown to expect something very new and innovative with each new release. Being fair, in reality it is not right expect big new innovations in with every new release. It is likely that there may contain technological advances but not necessarily enough to excite everyone; especially those who are expecting a lot. There is always an air of anticipation when it comes to the next Apple’s release. The people are always very impatient for the next big release from Apple and when the new release does not contain outstanding releases they get quickly frustrated. This has lead to many different articles on the future of the innovation level of Apple’s future products. That said, every year dramatically improves their existing products. For example their new and updated product includes a better battery life, usability and convenience. Apple does not usually rush innovation, they don’t consider that is the right way of doing things. This is an industry that is quick to throw away an old product. It does not take a lot of detective work to figure out that Apple can survive a drastic slip in fortunes. But that does not mean such an event wouldn’t make Apple falter and fade. After all no company is invisible. Many of Apple’s competitors did not expect the iPhone to take off the way it did way back when it was introduced. As far as further innovation is concerned Apple has makes its choices quite clear on the kind of technology it adapts for it’s devices. For example their devices avoid wireless charging. Apple is a strong enough company to dictate the direction of the technological innovation. Thus it is safe to say that the Apple products including the iPhone, iPad and even the iPods are here to stay. And I am quite sure there will be around for a while to come. Apple continues to innovate even now. They may not being innovating at the great pace as they were in the mid 2000s but they still continue to be a force to reckon with. Alakmalak is such type of mobile application development company and also it is one place where you can find the most trusted iPhone app developers. This organization has a good team of highly experienced iPhone (Apple iOS developers) that are fully aware of the latest technological advances. 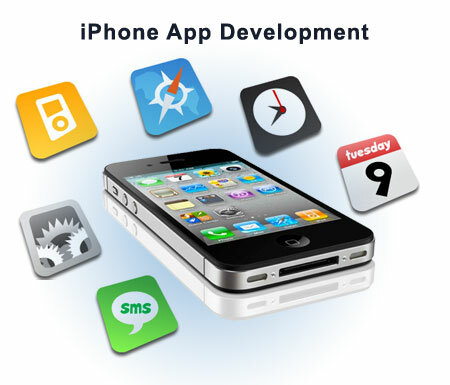 They are also the right people to consult regarding advise on the current trends in the world of Apple Apps. Thus you can be sure that you are in save hands when you choose them.